Our Culture - G-TECH Services, Inc.
We believe in working together to make our teammates and clients successful. At G‑TECH, we pride ourselves on our culture of inclusion, collaboration, and continuous improvement. We believe in working together to make our teammates and clients successful. We strive to create an environment in which each and every team member is valued and respected for their unique perspective, background, and experience. We are a team of problem solvers. We like to know how things work and are driven to understand how our clients operate and what motivates our teammates so that we can help them do better. We aim to give our colleagues opportunities not only to thrive in their careers but also to positively impact the world-class organizations we serve. We support our team members and our clients. We make it a top priority to establish trust-based relationships, maintain open lines of communication, and work through challenges together. It is this dedication to going the extra mile that has earned us recognition as one of Metro Detroit’s “Best + Brightest Companies to Work For” and an Inavero Best of Staffing® Client Satisfaction and Talent Award winner. We recognize the importance of working with a company who has a clearly defined purpose, focus, and a common mission. Our mission at G-TECH is clear: we provide talent solutions that position our clients for success. At G-TECH, our core values form the foundation of our business. These values guide our decision-making, our operations, and the way that we interact with our clients and with each other. Part of what makes G-TECH a successful organization is that we always have an eye towards the future. 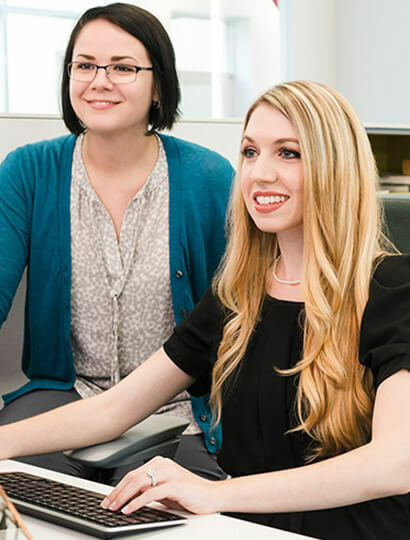 We have a clear vision of who we want to be: a premier company that provides dynamic career opportunities for our team members and proactive talent solutions that support our clients’ evolving business needs.